I am all about series books these days. Series help kids become fluent. Understand characters. Internalize story structure. Get to know authors. Support those kids who struggle with what to read next. Yes, it's true, they are not always "great literature," but I can expose kids to great books/authors during read aloud. 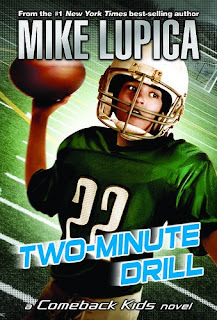 Last week in the library, I came across Mike Lupica's COMEBACK KIDS series. Or actually, one of my boys came across it for me. B came running up to me during our Thursday book checkout. "Hey, Ms. W., look! A football book! You like football! You should read this one?" And so this weekend, I did. (Warning- the copyright is 2007, so people will probably wonder why I am reviewing a book that is not new. Brainiac Scott Parry is the new kid in town. He becomes friends with Chris Conlan, the quarterback of the football team. Chris is the golden boy on the field, but in the classroom, it's a whole different story. I loved lots of things about this book. Scott is not a football superstar. He is clumsy and uncoordinated. He drops passes, misses tackles, and never makes it onto the field in a game. I love that those little guys who stand on the sidelines week after week after week can see that they are not alone. And unfortunately, Coach Dolan resembles many coaches I have known. Winning is all. I have watched my own sons, who idolize their coaches, struggle to understand the motives of these "heroes" in their lives. I love that this book provides a forum for kids to analyze adults with less than stellar motives. I also love Scott's parents. 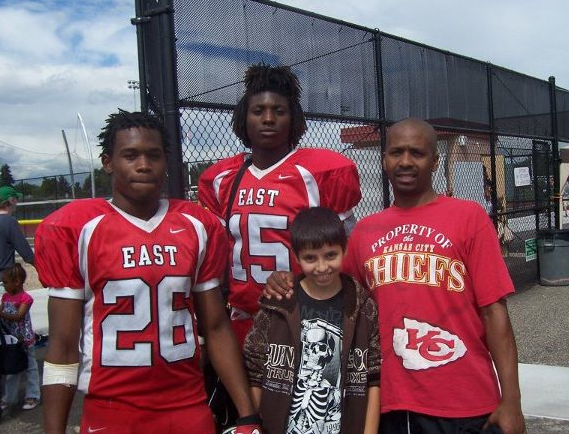 Scott's dad was a football star, but he doesn't push his son, or get upset about the fact that his son is not a star. Instead he praises his perseverance, encourages him to continue, supports him at practices. That's the kind of sports parent I want to see. I also love that there is not a "girlfriend" element in this book. I'm not excited about the boyfriend/girlfriend thing in fourth grade. I don't want want my students thinking about that. (And yeah, realistically I know it happens, but I am one of those old fashioned gals who thinks nine and ten year olds are a little too young for that). I'm glad, then, that this is a book focuses on the friendship between Chris and Scott. I am not getting to blogging right now. It's just not happening. Here are a couple of picture books I have read recently. MY NAME IS NOT ALEXANDER and MY NAME IS NOT ISABELLA are books that I think will be fun to include in (A) a "me"unit at the beginning of the year or (B) a study of character and values or (C) a genre study of biographies for a primary aged child. I could also see pairing this with Barack Obama's OF THEE I SING in a study of how to structure a picture books. In each of these two books, a young child wakes up in the morning, and tells his/her parent that they are no longer going to be called by their "real" name. On each page, the child assumes a different identity. 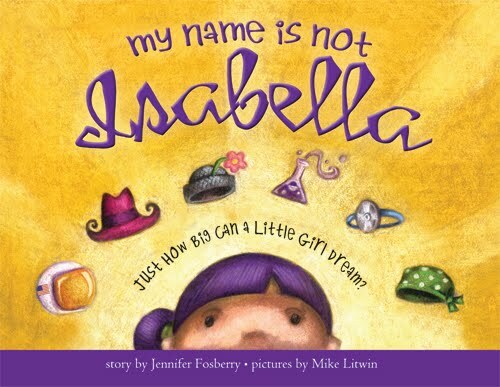 Over the course of a day, for instance, Isabella, wants to be called Sally (for astronaut Sally Ride), Annie, for sharpshooter Annie Oakley, Rosa (Parks) and Elizabeth (Blackwell, the first woman doctor. She also wants to be a mom, and ultimately decides that being herself is the best of all. 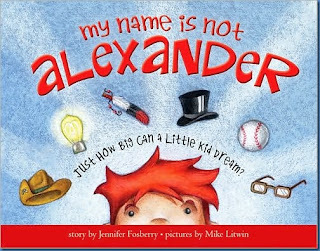 Alexander is the "boy" version of this series. Alexander also runs through a variety of personalities, including Teddy Roosevelt, Thomas Alva Edison, Chief Joseph, and Jackie Robinson. A fun series for beginning readers. There are some author/illustrators who just never put out a "bad book." Mo Willems falls into that category. So does Kevin Henkes. And Kadir Nelson. and, and…Of all of the author/illustrators I know, however, the one at the very, very top of that "Never has a bad book…" list is, of course, Eric Carle. 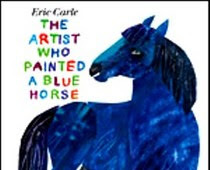 Carle's newest book, THE ARTIST WHO PAINTED A BLUE HORSE, just came out. The book starts with a small child= a couple of reviews I have read described this character as a boy, but I think it could also be a girl, saying, "I am an artist." This little artist paints a series of animals- a blue horse, a red crocodile, a polka-dotted donkey. The book ends, "I am a good artist…" The illustrations are classic Carle (think BROWN BEAR, BROWN BEAR) with one large animal and one brief chunk of text on a page. Our youngest page turners are going to love this book! Like many of Carle's books, however, there is more to this story. The book was written as a tribe to Franz Marc, the German artist who created unconventional paintings in the early part of the 20th century, and died during World War I. So not only would it be a terrific addition to any primary grade classroom, but it could also be used in art classes, and maybe even literacy coaches, consultants, and administrators, to begin a conversation about creativity. 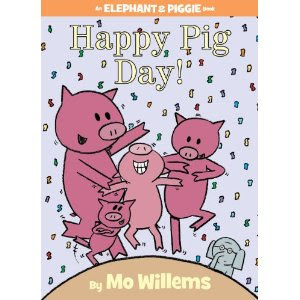 It's Happy Pig Day, and Piggie and her friends over the moon excited! It's the best day of the year to dance pig dances, sing pig songs, and eat pig food. Gerald, however, is not quite so excited, in fact, he is feeling a little left out. He has a trunk, not a snout. He is gray, not pink. 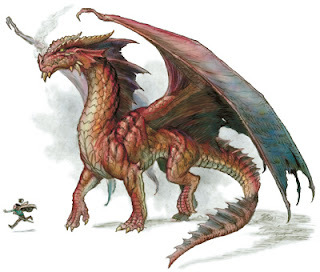 And he does not have hooves, like Piggie and her friends. Only Gerald's good friend, Piggie, can convince him to join the celebration. Don't miss the end pages on this one! I think they are some of the best yet! Billy loves bears. He and his best friend, Griz, do everything together. They like to go exploring. The play hide and seek. They eat peanut butter and honey sandwiches. They know each other's deepest secrets. 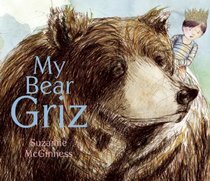 A perfect book for a preschool or primary grade reader! I teach fourth grade, but only about 1/4 of my kids are reading at grade level. Another quarter of them are reading about a year below grade level, and the rest are two years or more below. Lots of them have not yet found their "reading legs." While I'm a firm believer in explicit instruction, I also believe that kids get better at reading by reading. A lot. I'm always on the lookout for chapter books and series that will lure kids into my world of words. Last week I found a new series. 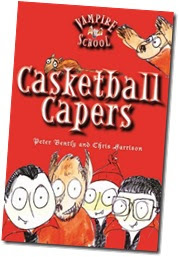 The VAMPIRE SCHOOL series, by British author and illustrator, Peter Bentley and Chris Harrison, currently has two books. They are written at about a second grade reading level, but the subject, a vampire school, is appealing to fourth graders- the books have been making the rounds since I took them into school last Monday. The books are long enough to classify as chapter books, but the chapters are short, and there are lots of great black line illustrations to support developing readers. The books take place at St. Oorlok Academy. Everyone knows that vampires are nocturnal, so Lee's mom wakes him up at 8 every night, so he can get to school on time. At school, Lee, and his friends, Billy and Bella, learn vampire skills, such as how to turn into bats and how to fly. They also play on a casketball team, where Lee must rely on his bat friends to beat a cheating Werewolf on the other team. In the second book, GHOUL TRIP, the kids from Saint Oorlok's go on a field trip to a fair. At the fair, Lee, Billy, and Bella encounter a dishonest ferris wheel operator, who leads them on the trail to capture some dishonest thieves who have been breaking into schools. This is a series kids are going to love. As much as I hate to admit it, I am a football mama. From the end of July until November, the sport pretty much consumes our lives. And while I don't like, at all, thinking about concussions, altered body parts, etc., I love watching my boys' passion and energy on the field. I love watching my two captains grasp arms and stride to the center of the field for the coin toss. Love watching #26's strength and speed as he twists down the field and and breaks for the end zone. Love watching this guy, who wouldn't put two sentences together in a conversation in the classroom, talk to reporters in post game interviews. Love his (slightly damp) stinky post game hugs. And I love watching #15, my quarterback, as he throws the ball all the way down the field. Love watching him as he scrambles and takes risks and tries the moves he worked all summer to perfect. Love watching my junior mentor the freshman quarterback on the sidelines. O wild kaleidoscopic panorama of jaculatory arms and legs. The twisting, twining, turning, tussling, throwing, thrusting, throttling, tugging, thumping, the tightening thews. The tearing of tangled trousers, the jut of giant calves protuberant. The rowdyism, and élan, the slugging and scraping, the cowboy Homeric ferocity. That’s the way to make men! Go it, you border ruffians, I like ye. POETRY FRIDAY is at GREAT KID BOOKS. Time to nominate the best books published since October 2010 for a CYBILS AWARD. There are lots of different categories- fiction picture books, nonfiction picture books, early readers, middle grade novels, YA novels, YA nonfiction, science fiction/fantasy, graphic novels, and this year, a brand new category for book aps. Nominations are open from now until October 15th. I have been a CYBILS judge for the last four years. and this year, I'm a first round judge in POETRY! Each year, I have totally loved being a judge. I love reading all the great new books. I love trying to predict which books are going to win.